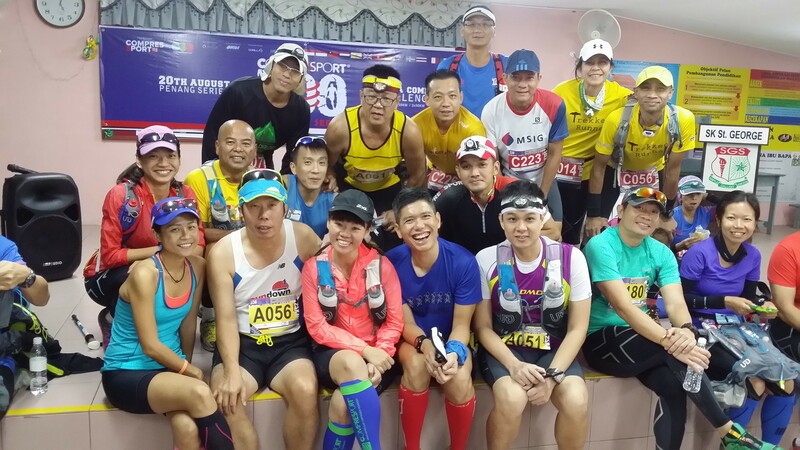 Race Review: Compressport 100 Penang Series 2016 [50 km] (by Supertramp) | JustRunLah! 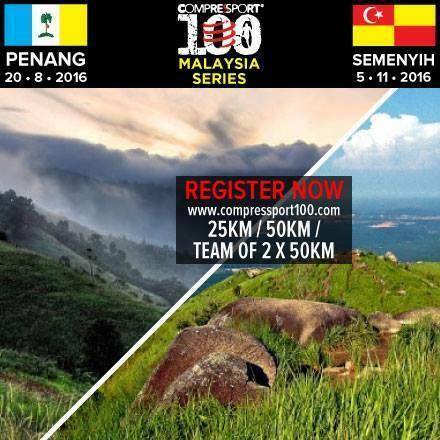 The Compressport 100 Malaysia Series consists of 2 events; The Penang Series in August and The Semenyih Series in November. I had initially registered only for the Semenyih Series after a friend invited me to join them for that. Some time after that I got to know of the combo challenge which includes the Penang Series hence I registered for that as well. Both series offer 25km and 50km challenge and I took the 50km option for both. 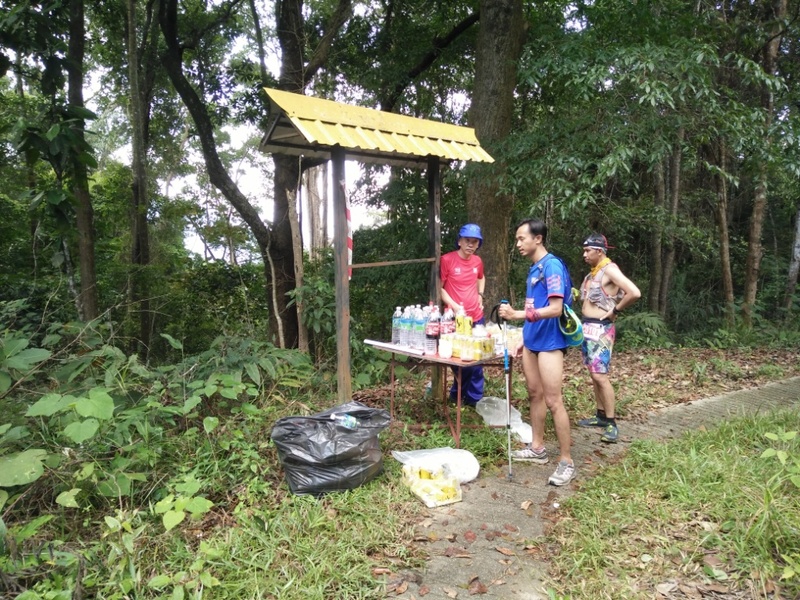 This being my first overseas Ultra Trail event, there were a couple of stuff that I would need to get e.g. the jacket, emergency blanket etc as these were listed as mandatory for the 50km runners. 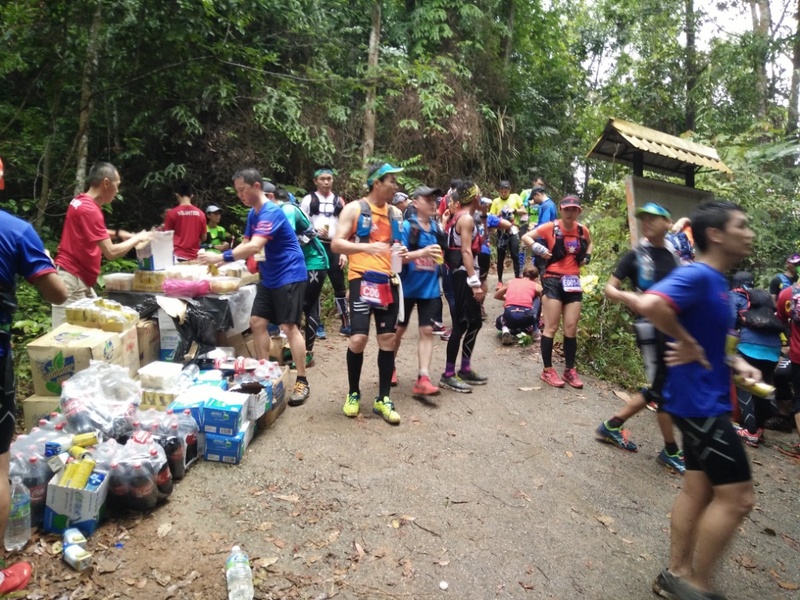 I also did some off road running in preparation for the event and the MSIG Singapore Action Asia 50 which I completed in under 9hrs was a rather good gauge on how prepared I was though I knew the elevation in Penang would be almost 3 times as much as that. I flew to Penang with Tigerair while most of my friends went with Air Asia. As I arrived at Penang first, I waited for them at the airport before proceeding to our hotel together. That would also be my first experience with Grab Car and I was pleasantly surprised that the trip from the airport to our hotel cost only RM11. 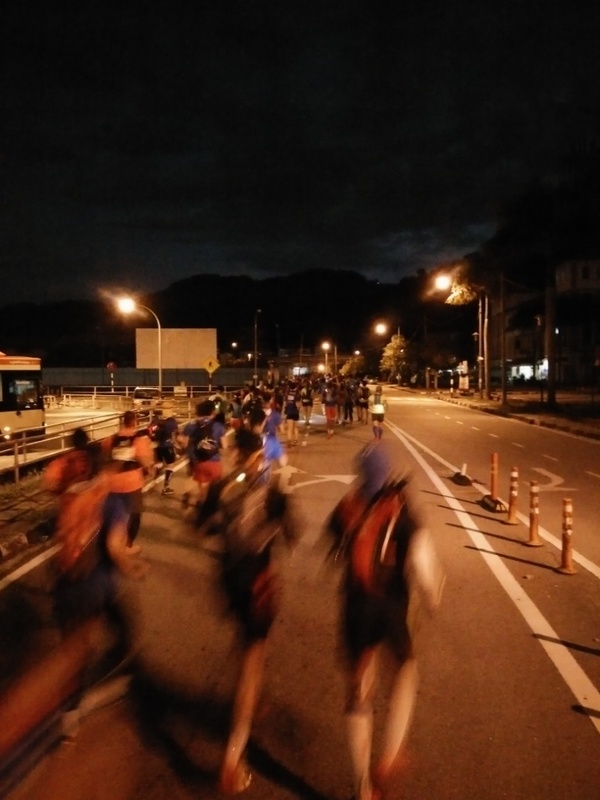 Almost all runners stayed at the U Hotel as they had a tie-up with the event organiser to provide shuttle bus to and from the event site on event day. 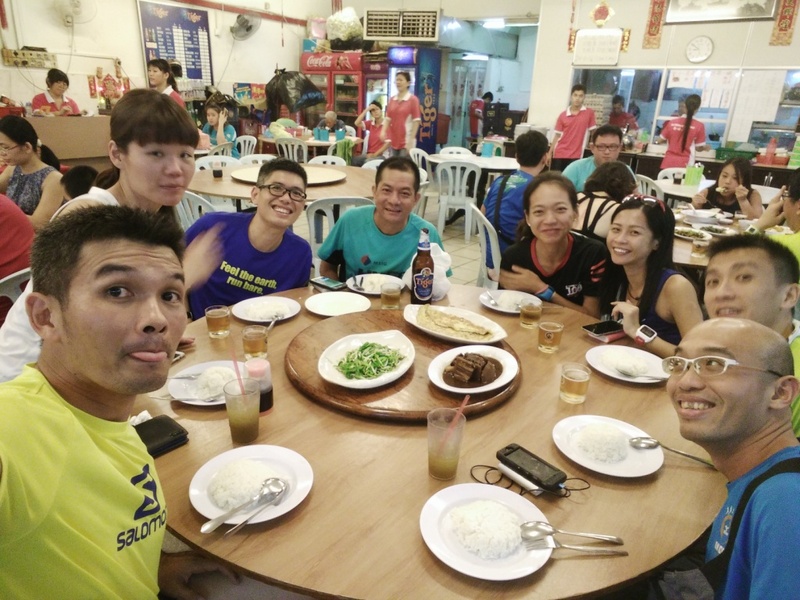 So after checking in, we went to George Town area to collect our race packs, which was hassle free and fast, before going for some Penang delicacies and massage. I had expected to be told of the race route at the REPC but was told route is simple so there will not be a race route provided. After getting some bread and water for our hydrations for the run at nearby Tesco, we returned to the hotel for the night. As the transport to the event site was to leave at 0400hrs, we woke pretty early for it. The hotel provided us with a meal pack that consisted of a bread, a packet of Milo, a small banana and a granola bar. I just took the banana and bread as I was worried the Milo might not agree with my stomach so early in the morning and the thought of doing business in the wild out there is well, not very appealing. We arrived at event venue, which was a school; Sekolah Menengah St. George at around 0445hrs. 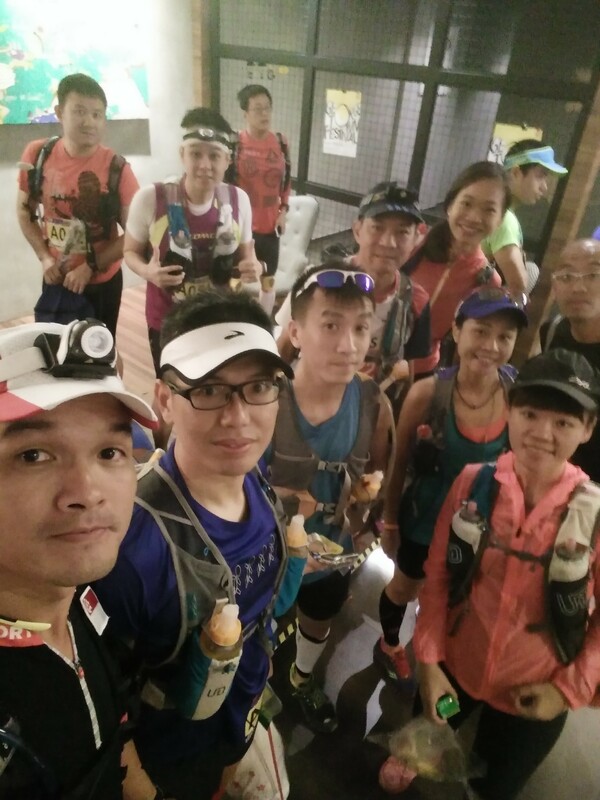 Us 50km runners had our mandatory gear check while the 25km runners did not have to. As the flag off was only at 0630hrs, we just lazed around to get more rest, took some photos while waiting. At about 0600hrs, the organisers started their race briefing. As no race route was provided, what I basically heard was follow the red/white tapes along the way and marshals will be stationed at critical junctions to direct us. So at 0635hrs, the run was waved off with lightning streaks seen above us. An omen of things to come? First 3km was pretty straightforward as we were running on road but from 3km onwards, the elevation started to come in. From 3km to 9km we got an elevation of about 470m which was very taxing on my legs and we entered the trail proper around the 5km mark. That was when it started to pour too. But as we were inside the vegetation, I nary felt the rain though it got abit cold but I decided against taking out my jacket as it would slow me down and it might get stuffy in it later. Plus, the path was very narrow, so if I were to stop I would be blocking the runners behind me and potentially create a hazard for everyone. At about the 8.5km mark, I saw a few of my friends standing together. It turned out Eugene hit his head on one of those low lying branches/collapsed tree trunks (which was aplenty) and was bleeding from his head. They were trying to stem his bleeding until they can reach CP1 which was about 1km away. After some wrapping using his buff, we proceeded on. At CP1 I grabbed some coconut juice while the medic attended to Eugene. The medic did not seem to know the appropriate way to bandage the wound so in the end I think we did it ourselves after washing away the blood. Though Eugene said he was fine and wanted to carry on, Jaime and Foo overruled him and all 3 of them decided to DNF. When we approached the marshal there, we were told emergency vehicle will take at least an hour to come. I was like why??? If it was really an emergency, wouldn’t the casualty have died by then? So in the end they decided to walk down to the main road before making own way back to event side to collect their bags. I overheard some other runners saying there were more casualties behind and this was just CP1. Oh my. My Cut Off Time (COT) to depart CP1 was 0900hrs and I managed to leave around 0815hrs, giving me a buffer of about 45mins and the rain had eased by then too. 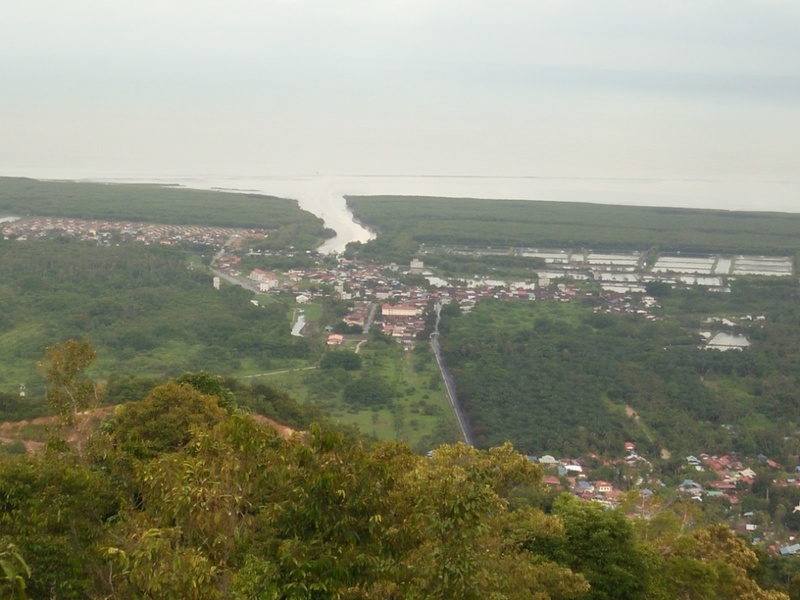 I was greeted with a wonderful view of a town (presumably Taman Jelita) with a waterway leading out to the sea during my descend. That was also when I realised descending on tarmac and cement surfaces were not easy at all what with my Speedcross 3 which was totally not meant for such surfaces. I had to control my speed and I also slipped a couple of times so I had to go slow. After collecting my ribbon at CP2 I proceeded to CP3 and then it dawned on me I will actually be going back to CP1 which would be CP3 and CP5 later. 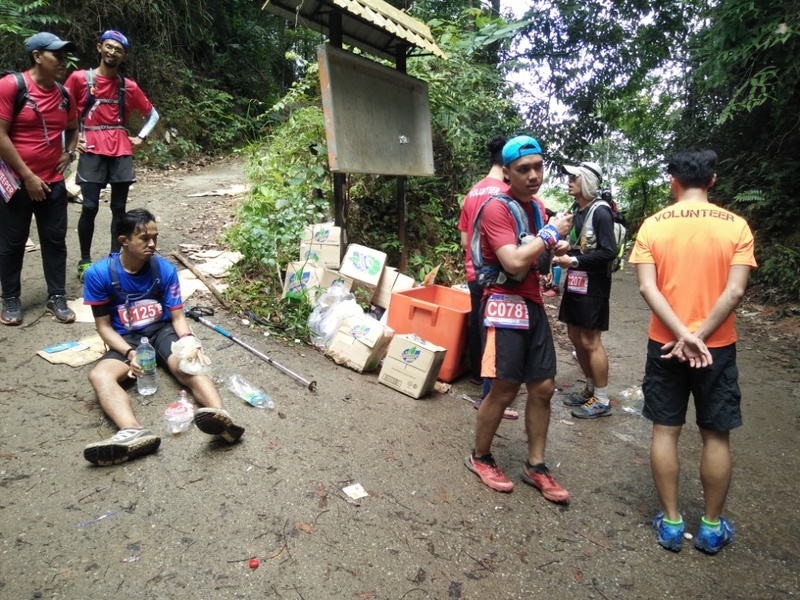 So after another 400m of elevation, I arrived at CP3 only to find they were already out of coconut juice and food with only water and Coke left. And this was to be CP5 later? What would be left by then? After filling up my hydration bag, I departed CP3 around 1000hrs, giving me a total time buffer of about 1.5hrs as the COT for CP3 was 1130hrs. This section would be the toughest part of the route as we went up Penang Hill with its peak of 742m. Some of the climbs were really so steep that I could only stand and wonder how was I supposed to get up. But went up I did. I tried to make fun of the situation with fellow runners and that in a way helped to lighten the mood and made carrying on easier. 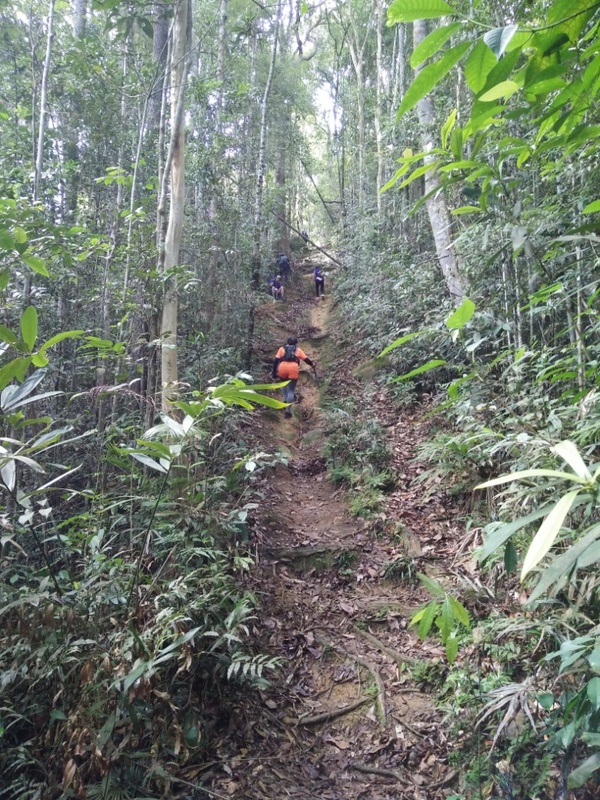 With every climb, there were descends and those were killers as well. There were many plants with small sharp thorns just by the trails and I accidentally grabbed one while trying to balance myself. It was a OMG moment and I quickly remove those stuck on my hand hoping none got inside totally. 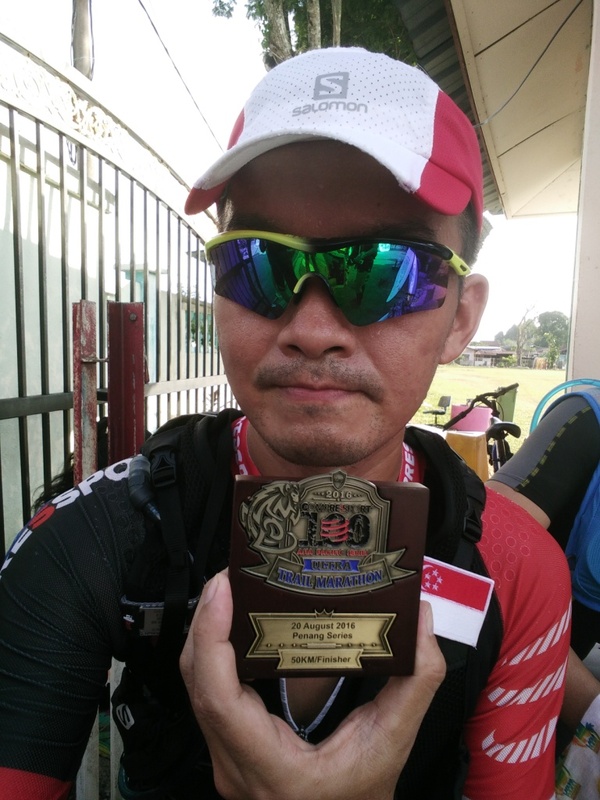 Collected my 2nd ribbon at CP4. After some more seemingly never ending ascends, I arrived back at CP5, which had only water left by now. Not wanting to linger there, I departed around 1230hrs, a good 2hrs ahead of COT. Next section to CP 6 was relatively smooth as we were on tarmac most of the time so I just had to control my descend. It started to rain again, heavier this time but none of the runners stopped or even tried to put on their jackets. I guess we all had the same thinking of not wanting to waste time and we were already wet anyway. 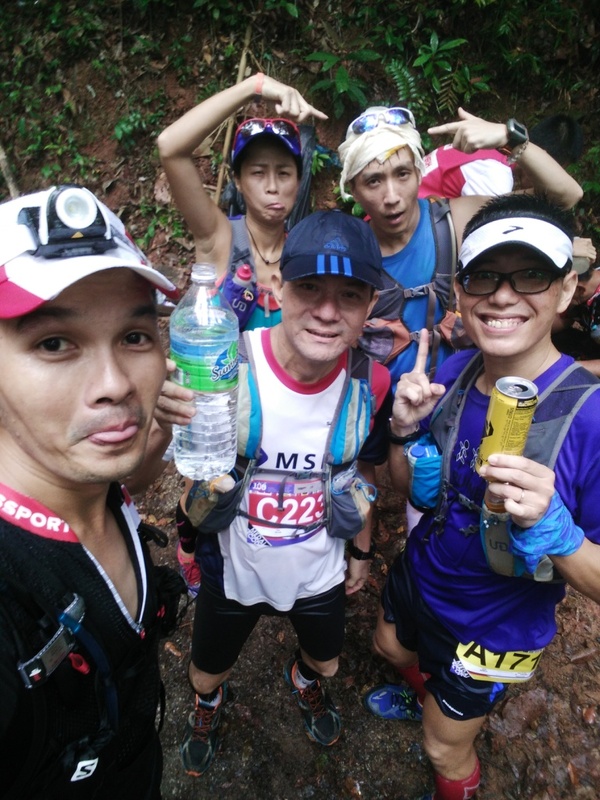 I arrived at CP6 and managed to see Lian Boon there. We had a short chat and he told me he hit his head on one of those plants with thorns and the medic was only able to remove some and apparently 1 of those thorns went in so deep that it could not be removed so he planned to finish the run first before seeking more medical help. Somehow it felt surreal that he could be recounting these to me offhandedly and soon he was on his way. I stayed for about 10mins during which the rain stopped, ate some bread, drank coke (no coconut juice again) and left around 1330hrs, which was still 2hrs ahead. I did not refill my hydration bag as I figured it would just be 8km away from the last CP where I can do so. It was a decision I would later regret. From CP6 it would be only 16km more, so I boldly estimated I could finish the run by 1630hrs. But my estimation fell terribly apart when approaching CP7, which was the 1200 steps station. 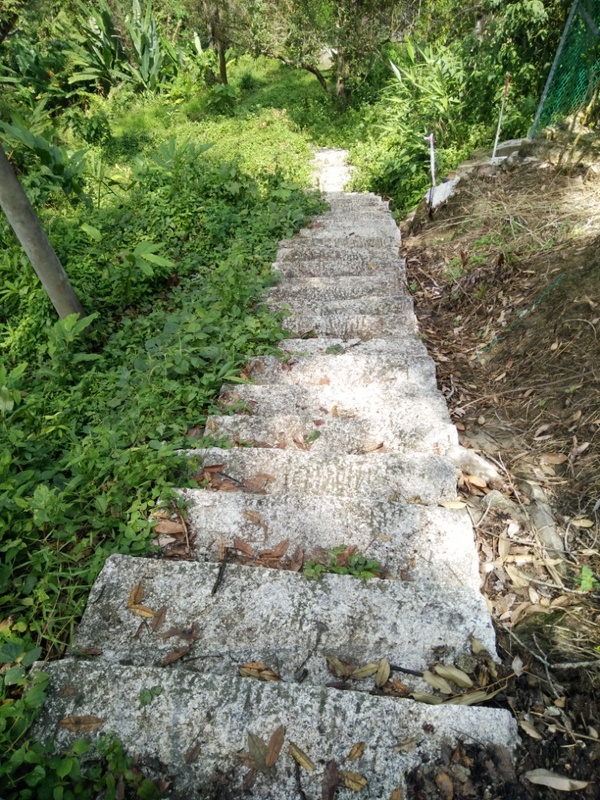 We had to cover 1.5km down a long flight of stairs, collect our 3rd and final ribbon, return along the same 1.5km flight of stairs before proceeding to CP 8. As it had rained earlier, the stairs were slippery with many of them covered with algae. Plus the fact that most of us were on trail shoes, the 1200 steps were like a death trap for us. Many runners slipped on the stairs and one even told me he slipped and slide all the way down the flight of stairs and only his hydration bag saved him from injury to his back. So what most of us did was to remove our shoes and carried on with only our socks or barefoot. It was torturous and there was no way we could have did that section with any resemblance of speed. And worst for me, I ran out of water as I was not prepared for that amount of time on that 3km flight of stairs. After asking numerous runners for water and most of them had ran out too, a kind soul did let me have some water, if not I really would have dehydrated there. After that when I saw a garden hose by the stairs, I was desperate enough to simply just drink from there. Yes, that was how thirsty I was. In the end, I took a total of 2hrs just to clear that 3km flight of stairs and I had to readjust my timing predictions as I only managed to reach CP8 close to 1630hrs. 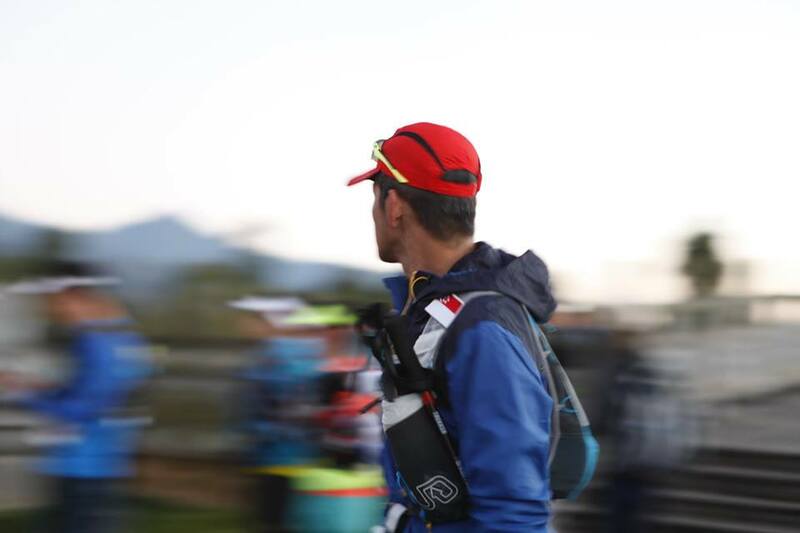 At CP8, I filled my hydration pouch to the brim having learnt my lesson and departed by 1630hrs. Though I was still ahead by 2hrs, but I still would like to return before night falls. The last 7km or so was quite easy. I guess after going through the 1200 steps and Penang Hill, everything else would be termed as easy though I felt my left thigh died on me for about 5mins before it came back alive. 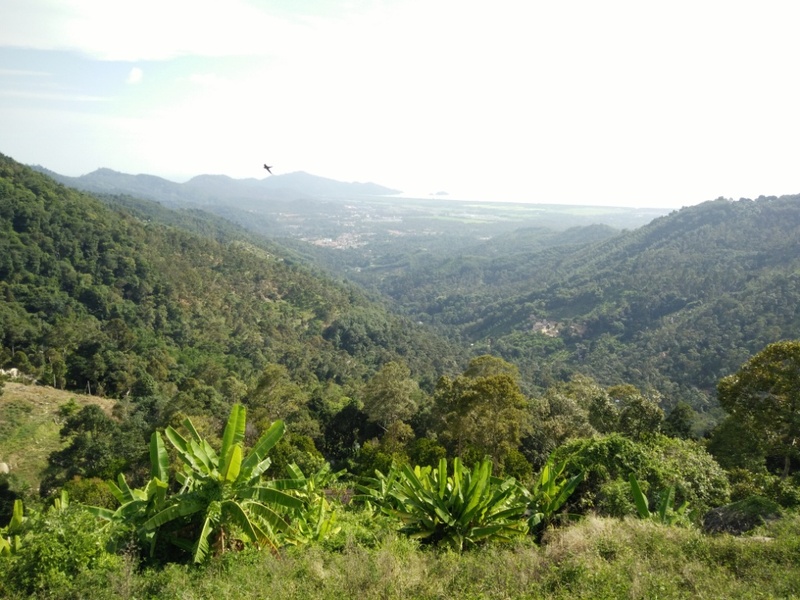 At around the 46km mark, I came across a magnificent view of Bukit Elvira which somehow made my sufferings so far worthwhile after all. I picked up my pace during this last stretch though I still walked most of the way. I recognised the route I was taking then was actually the route we took while entering the mountains, so I estimated I should be about 1-2km away from the finishing. I did not follow the distance on my GPS watch as the distances sometimes were not that accurate. After hitting the main road, I saw a runner ahead, presumably someone who had completed his run, gesturing ‘2’ with his fingers. As I approached I vaguely heard him shouting ‘2!’, so I asked him was it another 2km more. To my surprise, he said ‘No! 200m only!’ I was like huh? So near already? We were not returning via the same route in the morning? So I started to sprint ahead as I was actually conserving my energy for the expected last 2km. In no time, I crossed the finishing line though I was a little disappointed there wasn’t any photographer there to capture the moment runners crossed the finishing line. I ended the run with a timing of 11hrs 14mins, well under the COT of 14hrs. I just stood there for a good 5mins after the finishing line as by now both my thighs went numb on me and I could not move. Someone came over to ask if I needed medical attention but I just waved her off. After my thighs recovered, I collected my medal, finisher tee and coconut juice (like finally right) then I sat near the entrance to wait for the transport back to the hotel. I heard there was food prepared for us but I had no appetite to eat then. After about 20mins, we were told the bus was actually a distance away as it could not wait by the event site. So we walked another 1km or so before we boarded the bus back. After showering, I met up with the rest who had completed their event earlier for dinner. Was glad to know Eugene was alright. Lian Boon went to the hospital but the doctor said no thorns were found in his head but he still decided to go for an X-ray once he is back in Singapore. Race pack collection was fast. 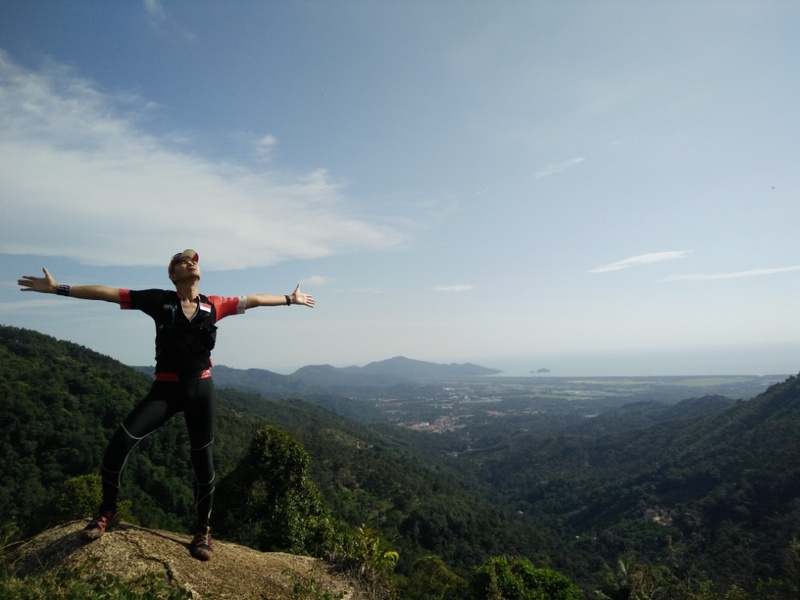 Race route was scenic at some parts offering some beautiful views of Penang. Water was available at all stated CPs. Marshals were stationed at critical points to direct us and some of those locations were really remote actually. Race route map should be given so runners can pace themselves better especially towards the end as we would have known we will not be returning via the exact same route in the morning. 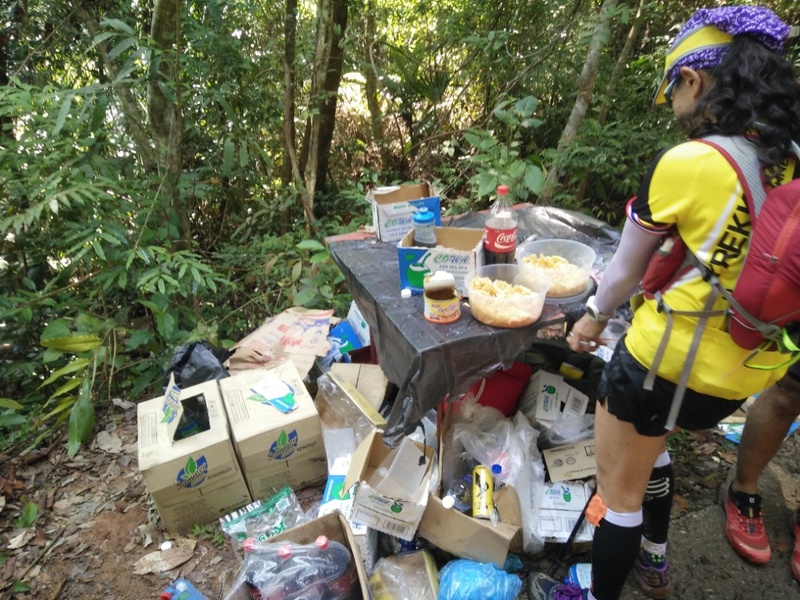 Iron Cross CP, which served as CP1, CP3, CP5 for 50km runners and CP1 for 25km runners should have been adequately stocked knowing runners would be running through it multiple times and to run out of food and coconut juice before it even served as CP3 was really unforgivable. Medical evacuation procedure needs to be reviewed. To say emergency vehicles can only arrived more than an hour after activation is ridiculous. We were lucky in that we had no serious casualties if not the consequences would be dire. More could have been done to ensure runners safety. 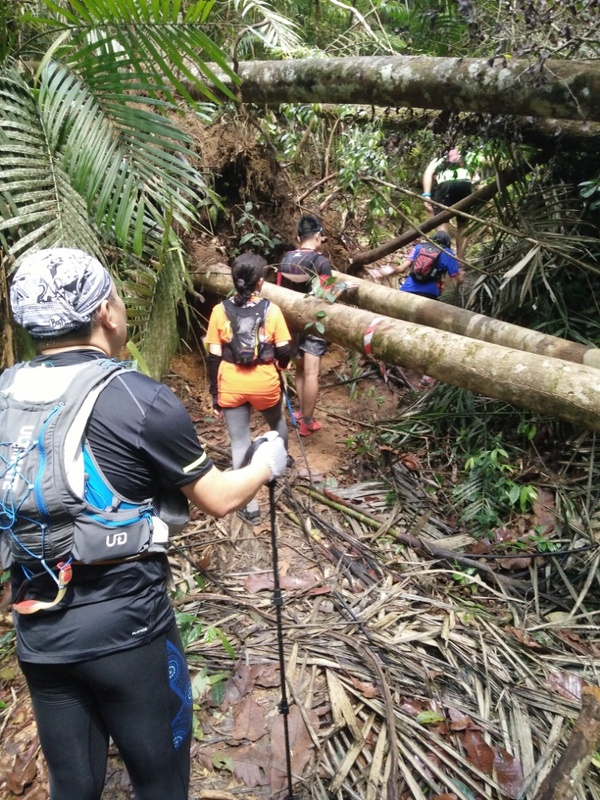 During the route recce, those low lying branches or fallen trees with sharp points could have their danger points removed as runners were not really able to see them with the low light conditions along some portions. 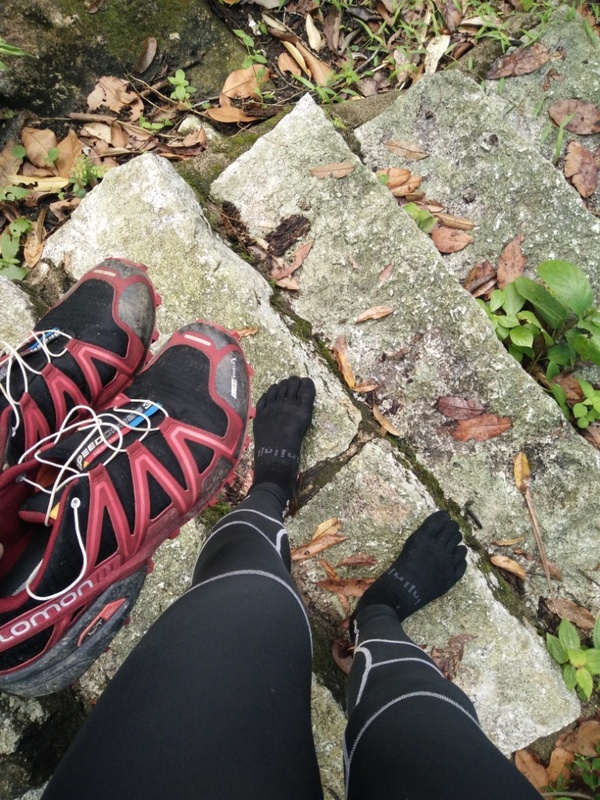 We signed up for an ultra trail event so I cannot understand why the 1200 steps station was included and they should know trail shoes do not handle stairs well. When I asked the organiser, his reply was that the 1200 steps was part of their Penang heritage thus they wanted us to experience it. I do not find this reason for its inclusion logical at all and runners could have injure their back if they were to ever slip and fall badly. 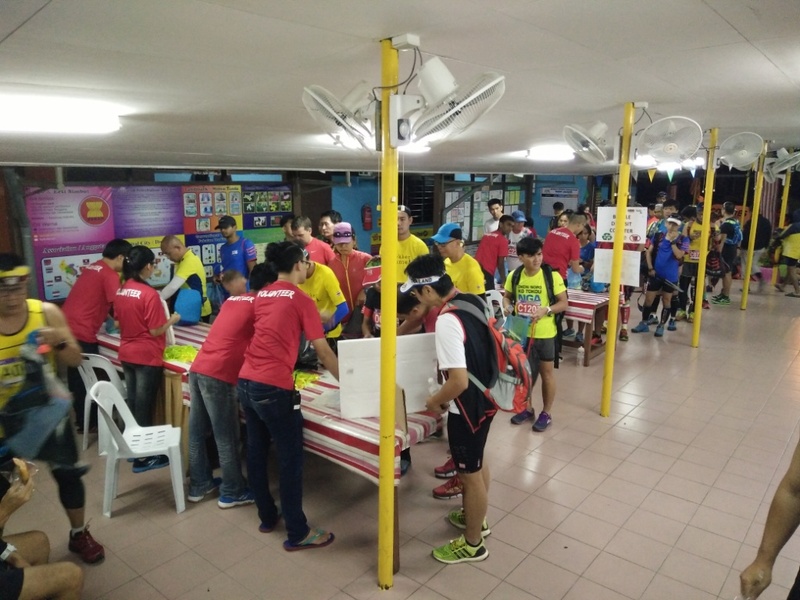 Event organiser adopted a Free Paper Cups policy requiring runners to bring their own cups. If this was done to prevent littering of paper cups along the route so be it. But I somehow guess they did this to save on the costs of the paper cups. 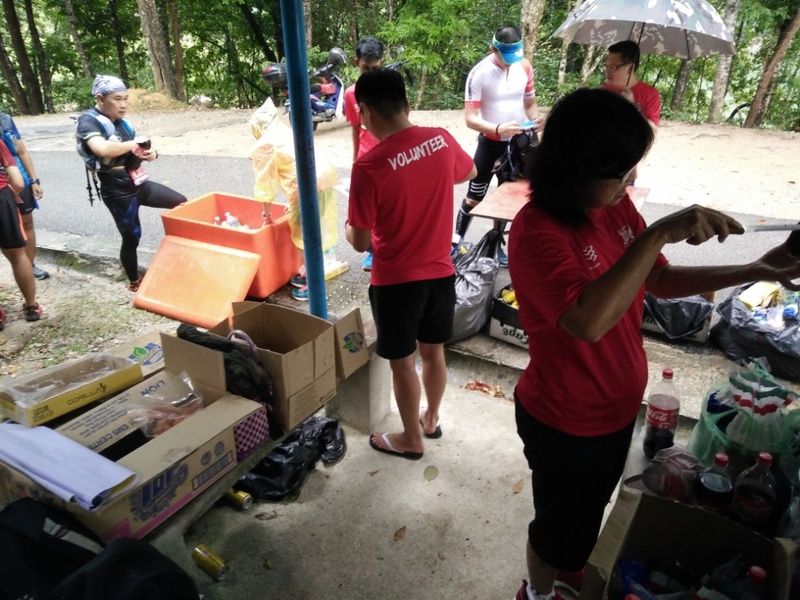 If being environmental friendly was their aim, they should not have given out packets of coconut juice or cans of energy drinks at the CPs as these can be seen littered all along the race route. Then what is the difference between this and using paper cups? 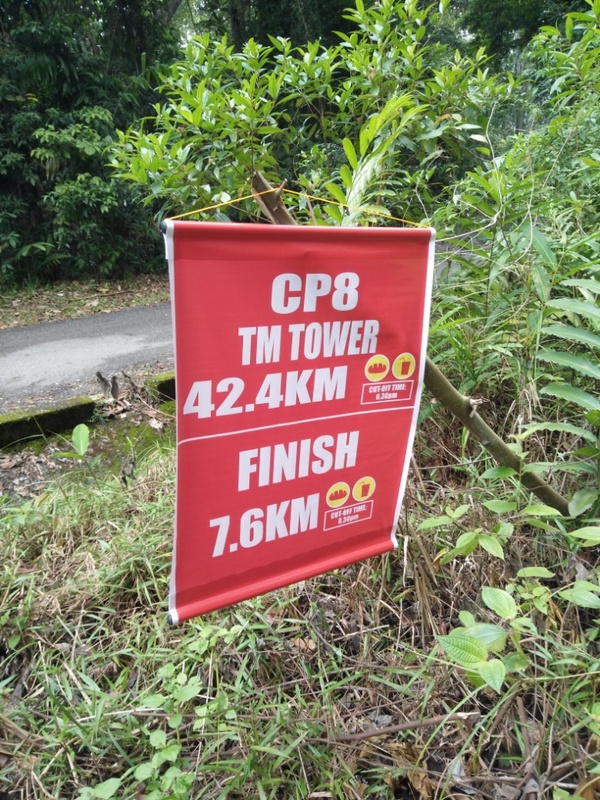 I cannot speak for the 25km route but I have to say the 50km route is not meant for beginners or runners without adequate preparation; mentally and physically. The seemingly never-ending hills and slopes can be mental killers. The route was also very taxing on your legs with some runners telling me they were feeling their knees halfway already. However if you are sufficiently prepared and if the organisers can improve on their logistic and medical arrangements, I would say you can go for this as the view on top was really stunning. Let’s see if I will be there at the Semenyih series.